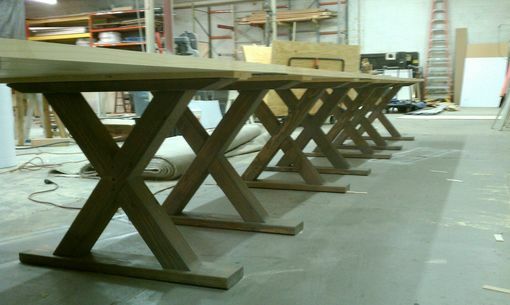 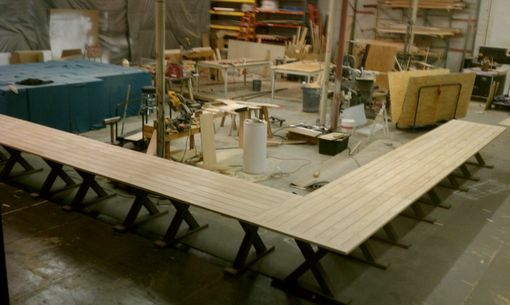 These 8 picnic style table were made to be used as one long "L" shape conference table. The top is made of 5/4" pine boards. 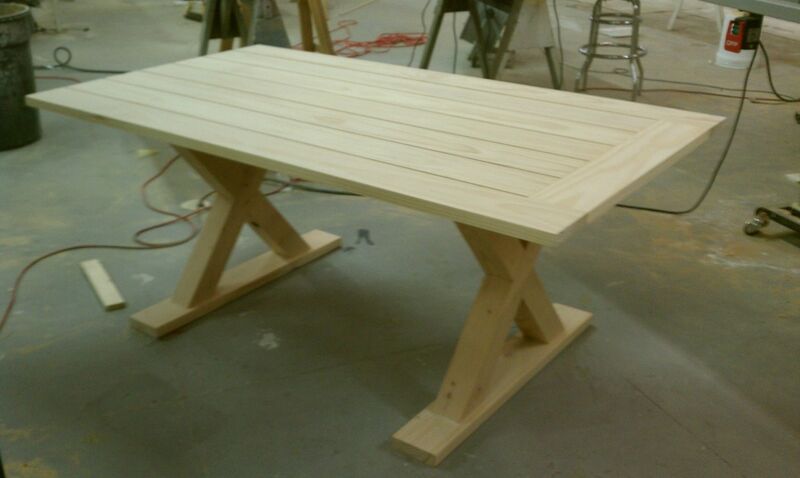 The legs are Douglas Fir 4"x4"